Thanks to a wonderful partnership with St. Joe’s Prep, NDS has been able get the Summer Meals Program off to a great start for the summer sites. This May, NDS was a beneficiary of a generous donation from St. Joseph’s Preparatory High School. Through NDS, over 450 sites in Philadelphia and eligible areas in Bucks, Chester, Delaware, and Montgomery counties receive summer breakfast, lunch, and snacks. As this is done through the USDA summer meals program, federal funds only cover food and program costs. Sites have to provide their own start-up supplies and programming materials for activities. Thanks to the generous donation from St. Joe’s, given in the form of tables, toys, books, and sports equipment, sites will be better able to keep children excited and coming back each day. The school ended up raising over $10,000 through the Hurtado Cup Challenge, where the sports teams of the school competed to see who could raise the most money for charity. 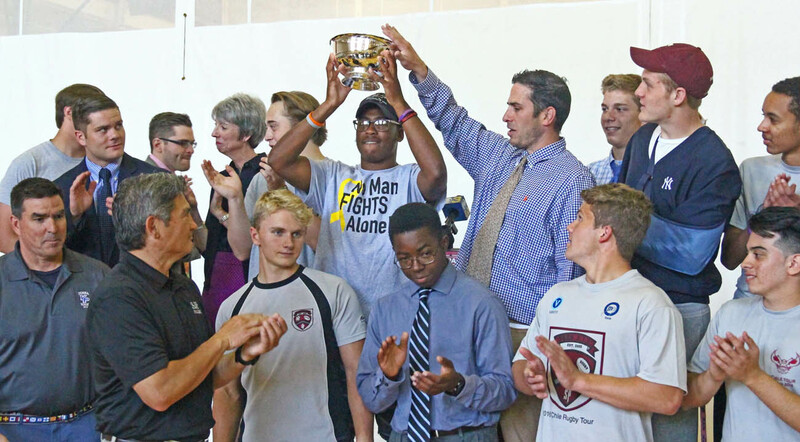 For raising $2,500, the rugby team received the Hurtado Cup. The award is named for St. Alberto Hurtado, who dedicated his life to serving the poor through his charity Hogar de Cristo. In addition to benefiting NDS, proceeds also benefited Face to Face, which runs community programs in East Germantown. 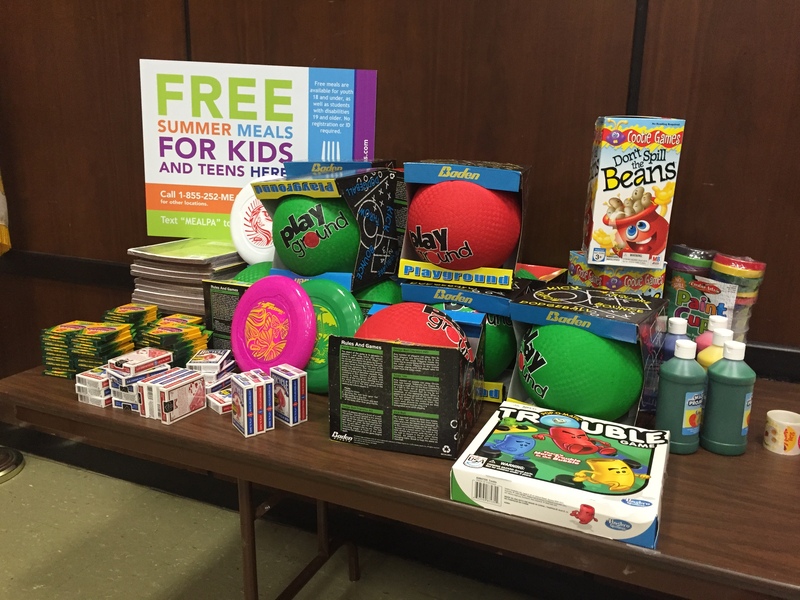 By giving out these supplies to sites at our summer trainings, we hope that they can make the summer meals program as enjoyable and effective as possible for the children. Thanks St. Joe’s Prep!